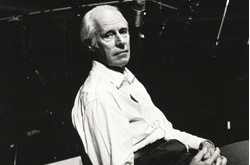 London's AIR Studios, Founded by Sir George Martin, Up For Sale . Beatles Radio: The Beatles, Solos, Covers, Birthdays, News The Fab 4 and More! London’s AIR Studios, one of the world’s largest and most prestigious recording facilities, has been put up for sale by its owners. Founded by Sir George Martin in 1969, the studio has been used by some of the biggest names in music with Paul McCartney, Adele, Coldplay, U2, Muse, George Michael, Kate Bush, Liam Gallagher, David Gilmour, Mumford & Sons, Scott Walker and Katy Perry among the many artists to have recorded there. The facility’s cavernous hexagonal shaped 300m squared live room big enough to house a full symphony orchestra and choir simultaneously -- has also made AIR an in-demand booking for film composers and Hollywood studios.